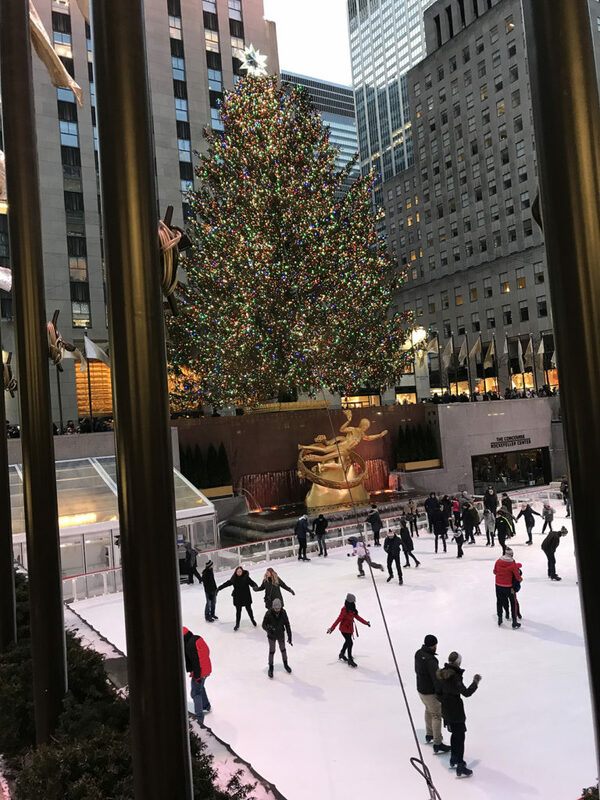 You may have noticed from my Instagram posts last week that we rang in the new year in New York City! 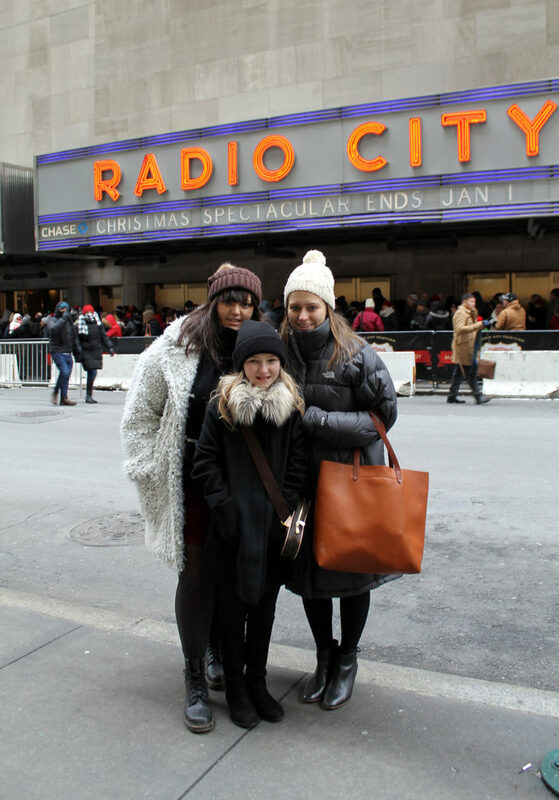 It was a surprise for our daughters…after unscrambling some “clues” on Christmas morning, they discovered that we were going to NYC. Mixed in with their “regular” gifts were wooden letters that I individually wrapped. As they unwrapped each one, they started to put them together to see what they spelled. It didn’t take long…maybe because the “N” was the first one that was unwrapped (what are the odds?). 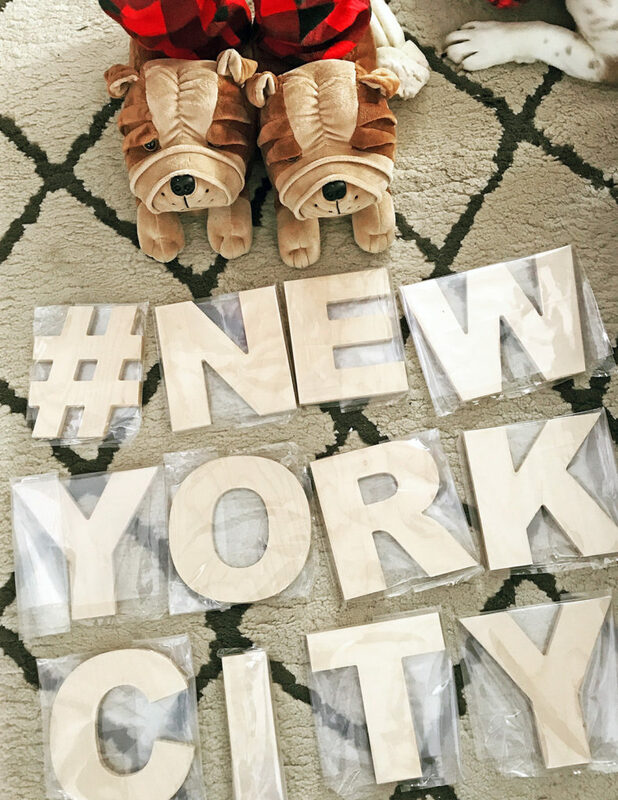 They soon had it spelled out on our rug…#NEW YORK CITY! 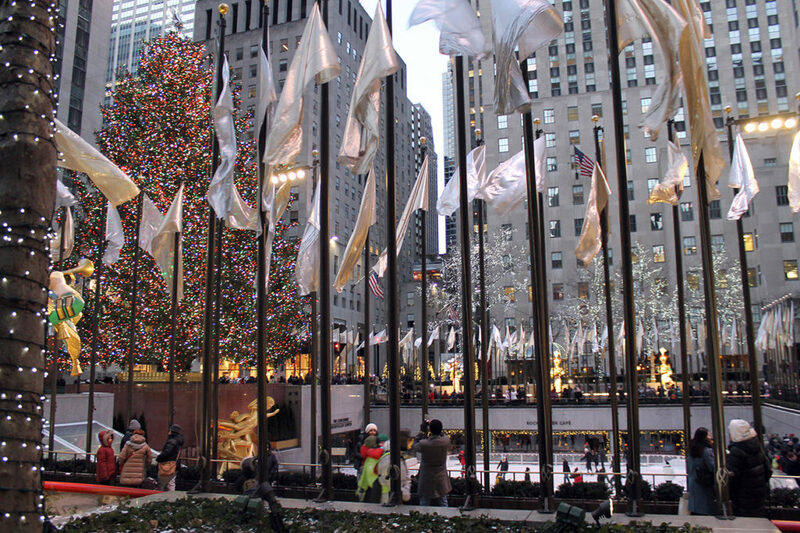 So off we headed to NYC for a few days of fun! We decided to have a true “city experience” by renting THIS APARTMENT through airbnb for the week. 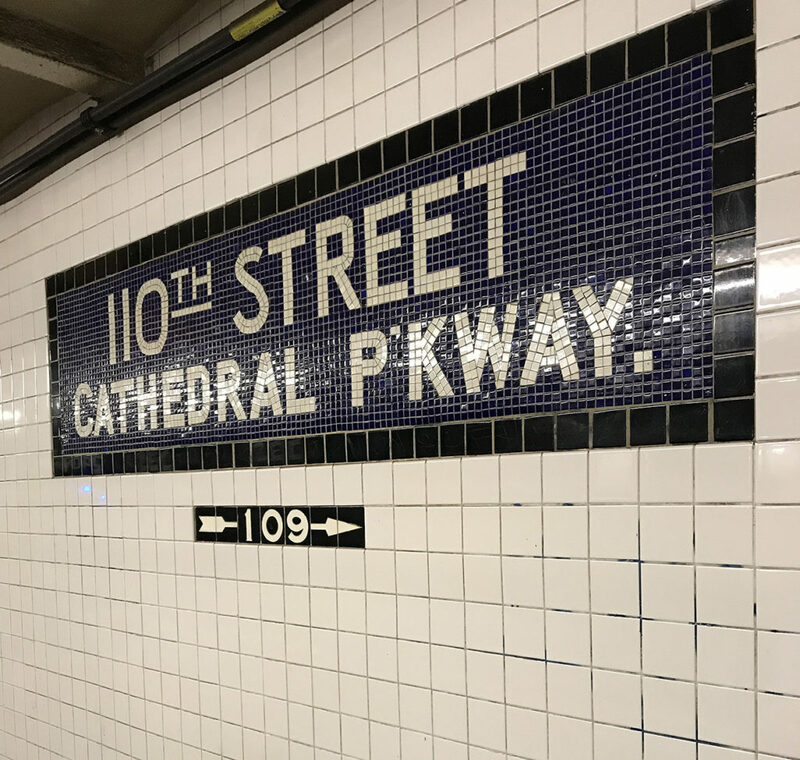 It was two blocks from Central Park, as well as a subway stop. 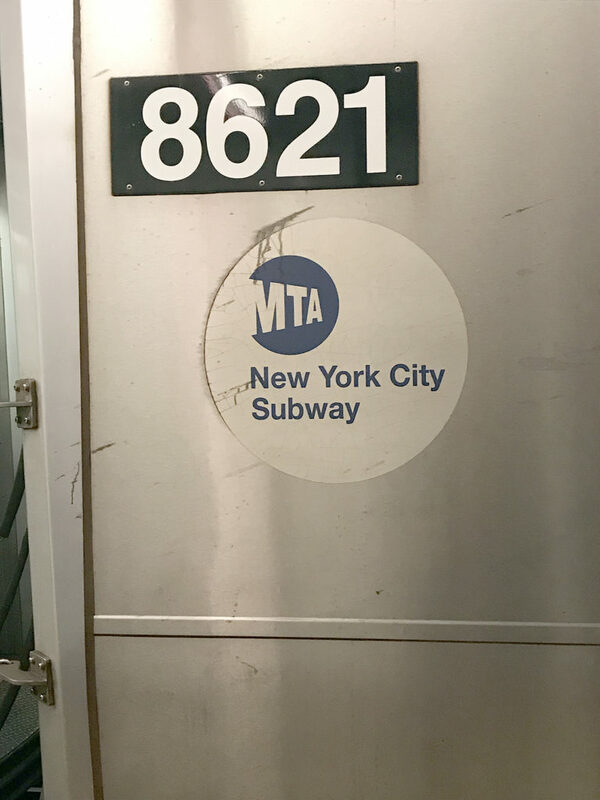 We traveled like true New Yorkers, as we took the subway to most places during our time there. 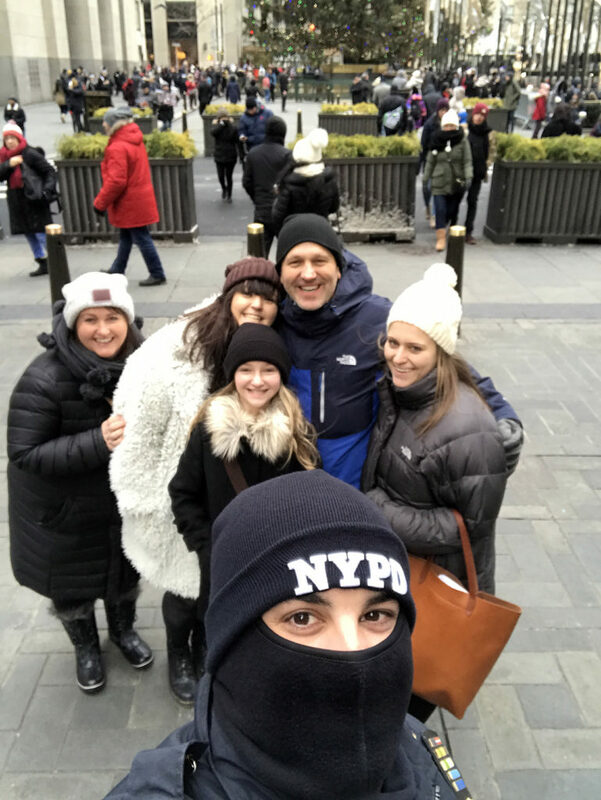 Now our family has been to NYC a few times (except for Claire…this was her first time there), BUT never during the holidays. 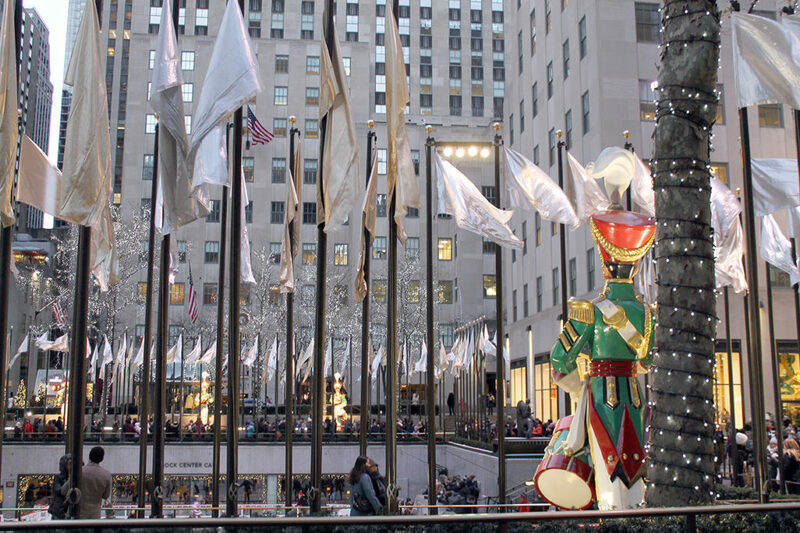 There is something so magical about seeing Rockefeller Center all decked out for Christmas…the lights, the famous Rockefeller tree, the ice skating rink, the large wooden toy soldiers. So much to take in! 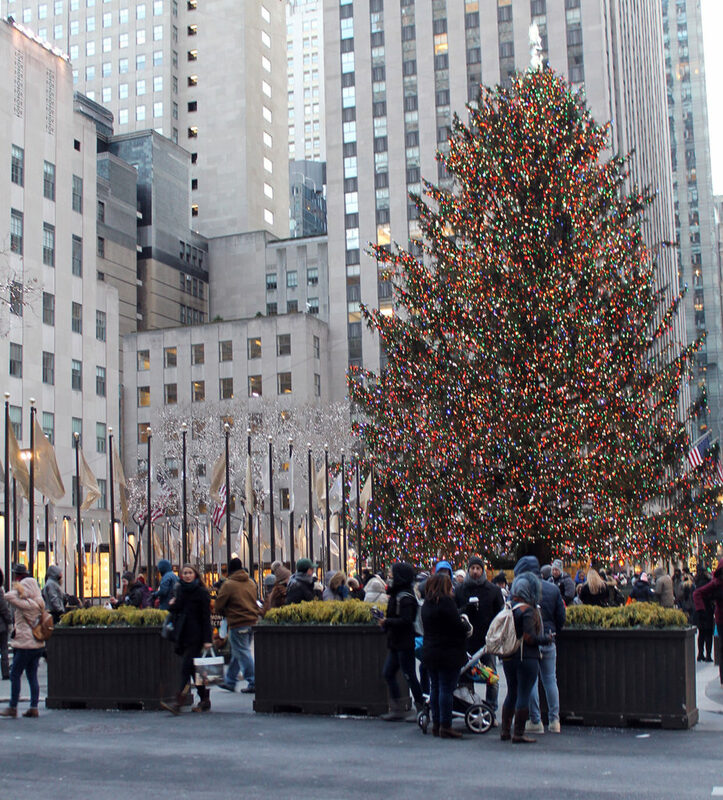 Just around the corner from Rockefeller Center is Times Square. 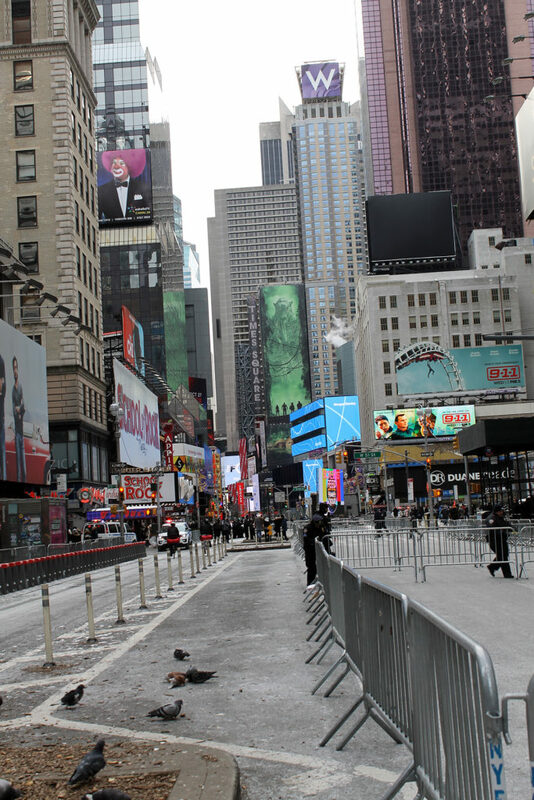 It’s always crowded, but even more so in the days leading up to the New Year’s Eve ball drop. 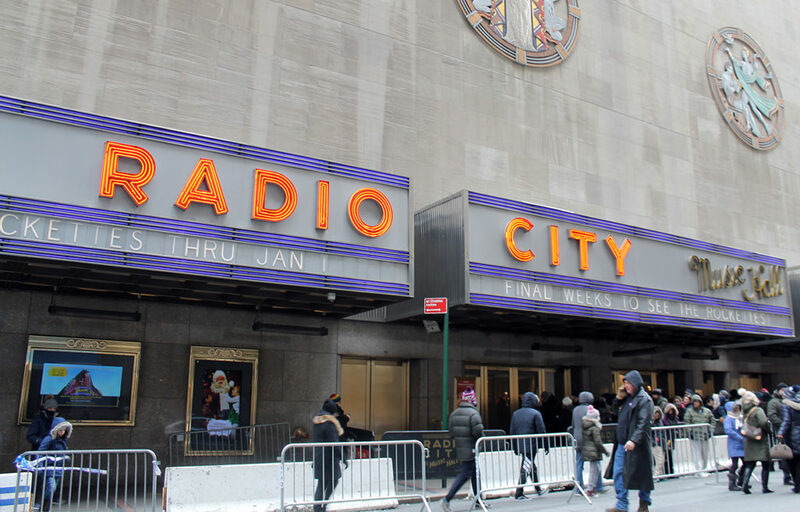 Props to the NYPD and the logistical plans it takes to pull off such an event! 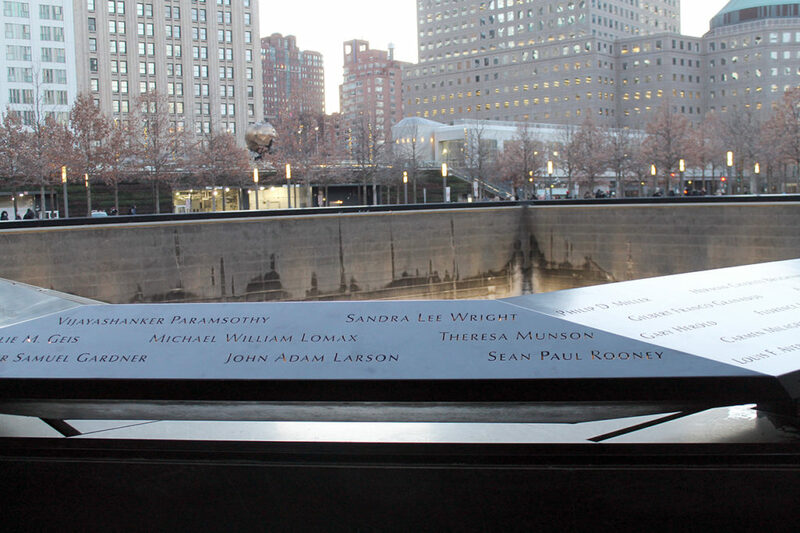 The barricades were out early awaiting all the people who began lining up at noon that day. 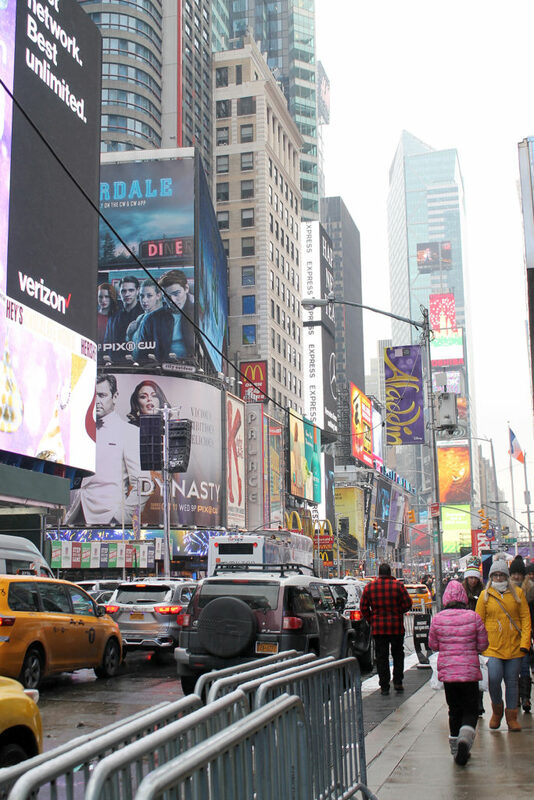 Our plan was to see how we were feeling about waiting in the crowds and then determine if we would celebrate New Year’s Eve, along with the other 2 million people, in Times Square. Given that is was five degrees that evening, we chose to stay inside and watch it from the comfort of our apartment! 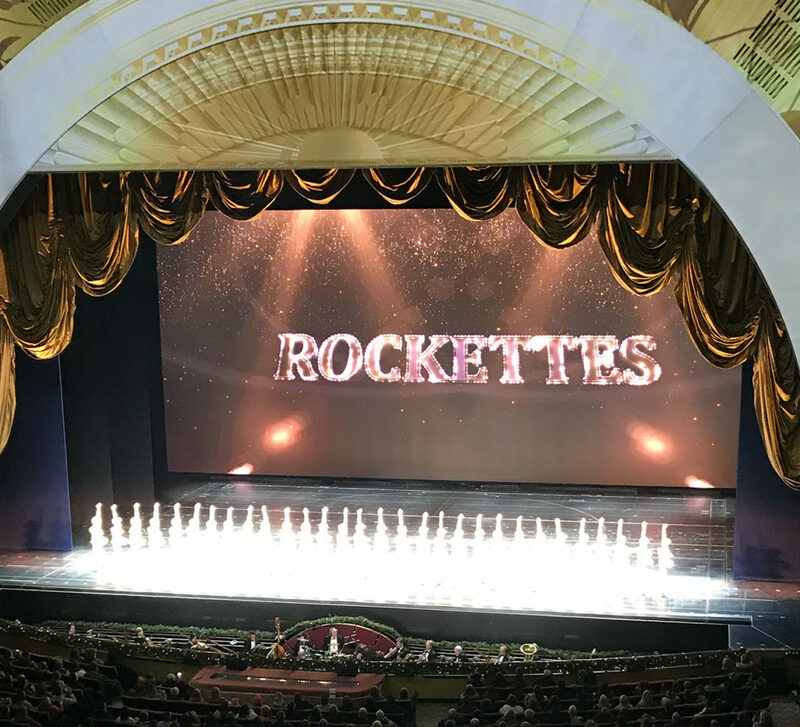 I have dreamed of seeing the Rockettes perform live at Radio City Music Hall for years, and I can now check it off my bucket list. 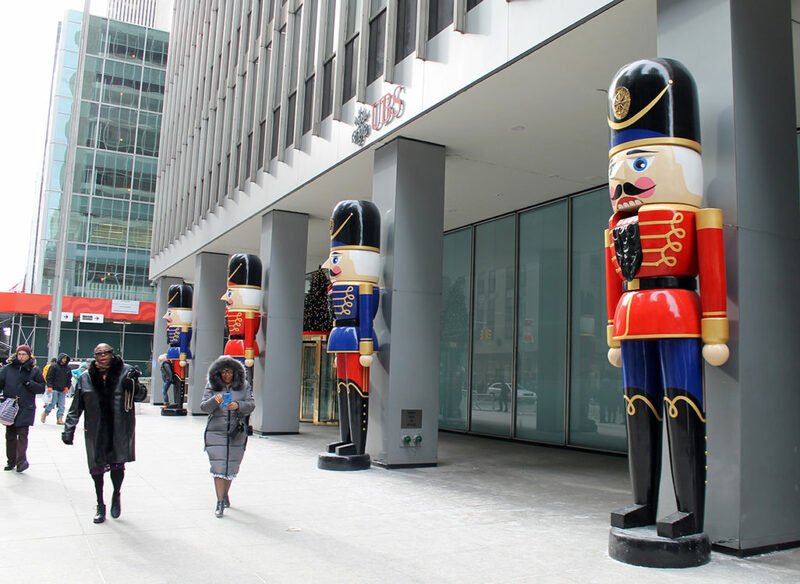 Such an iconic NY holiday tradition! And the actual venue…it is stunningly beautiful. I’m so glad I was able to experience this with my daughters! 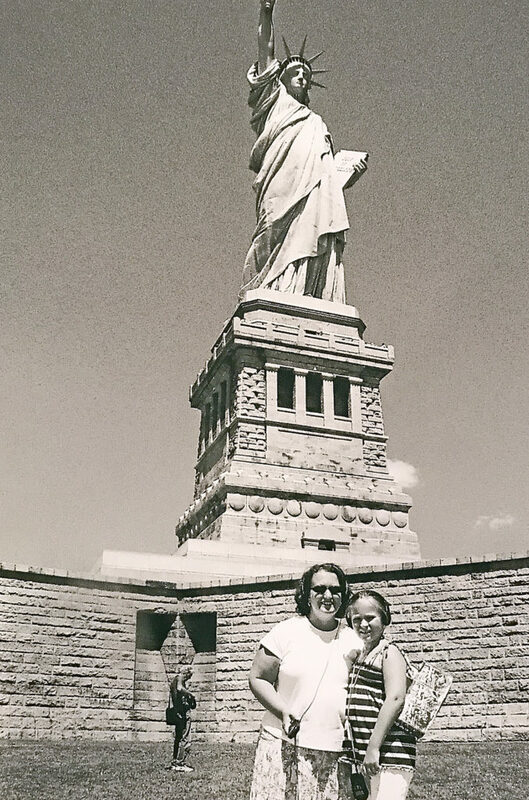 Everyone in our family (with the exception of Claire) has been to the Statue of Liberty at least once…some of us twice. 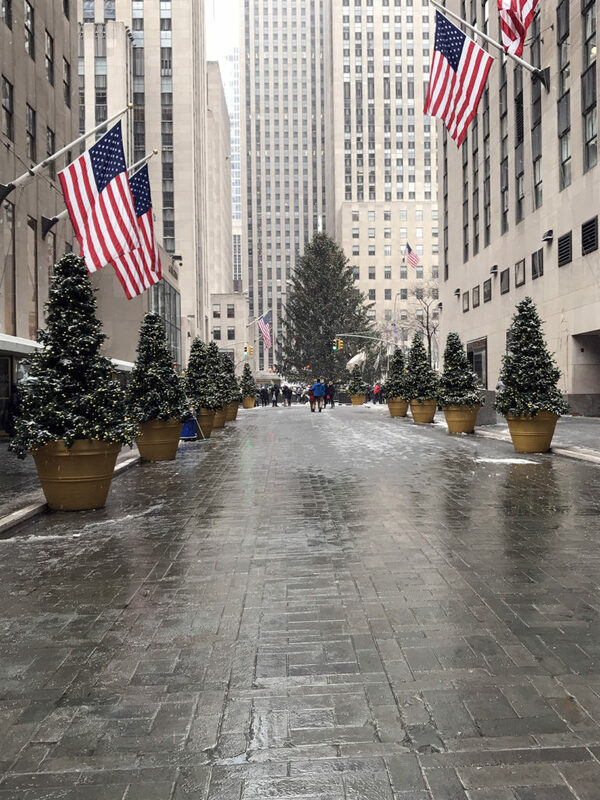 And honestly, I think we could have skipped going there (especially considering how frigid it was that day)…but I wanted Claire to have that experience. 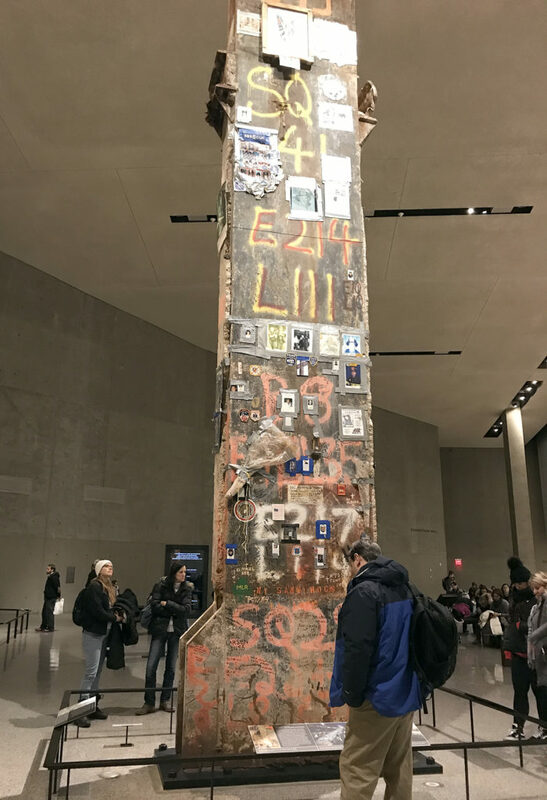 I saw it for the first time over eleven years ago when I was pregnant with her, and we’ve always joked with her that she has “seen”…she just doesn’t remember it! 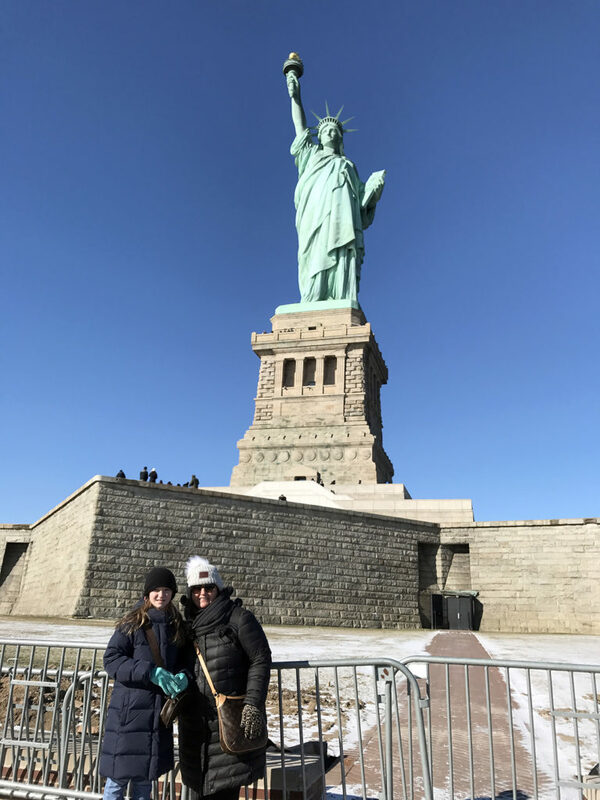 She was super excited to be there, and really wanted to see Ellis Island because she had learned about it in school a few years ago. 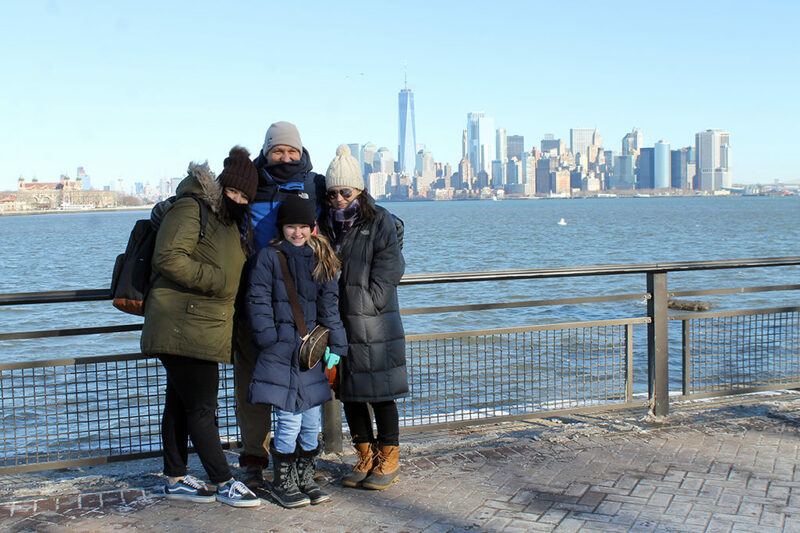 We had never gone to Ellis Island, usually taking the ferry back to New York…at Claire’s insistence, we stopped and spent time walking around there AND I’m so glad we did. 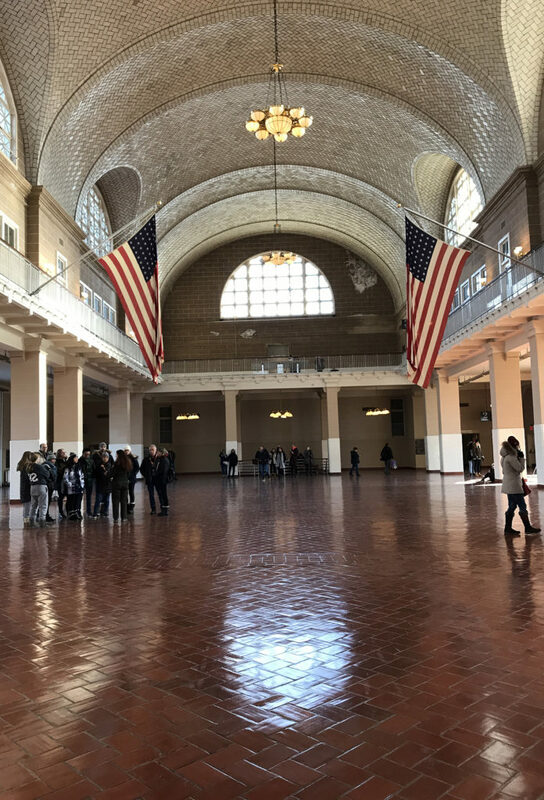 My advice…don’t skip Ellis Island, especially if you have someone who loves history in your family! Yep, that’s me in the summer of 2006…baby bump and all, with Audrey (and some man in the background). Fast forward several years! 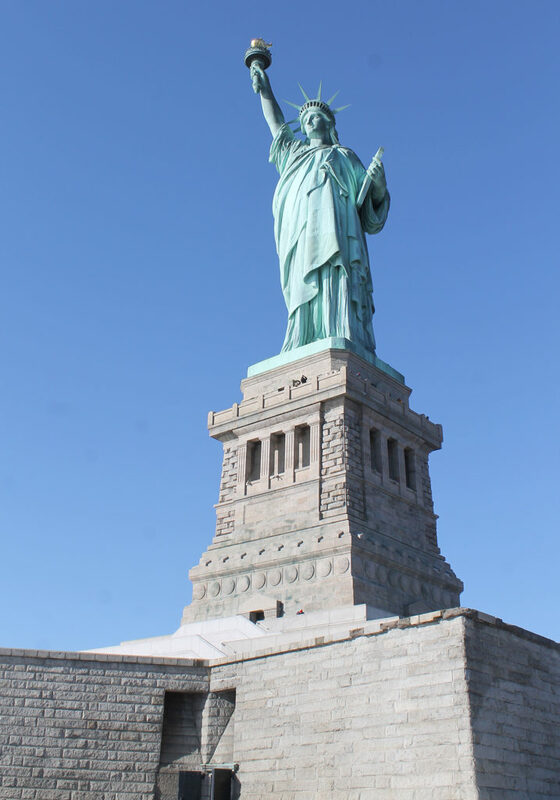 And a few seasons…summer is a MUCH better time to visit the Statue of Liberty! So happy to experience this with Claire! 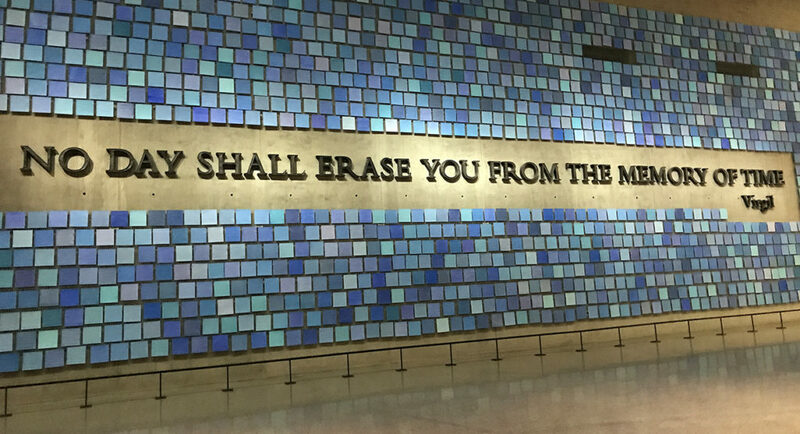 It was my second time to visit the September 11 Memorial and Museum, and it is still so powerful and moving to witness the tragic events of that day, but also how our country came together in it’s aftermath. It was very crowded that day (I think a lot of people were looking for indoor activities since it was sooo cold outside). It takes time to really go through and process all the exhibits…I recommend spending at least a half day there, if you want to see it all. 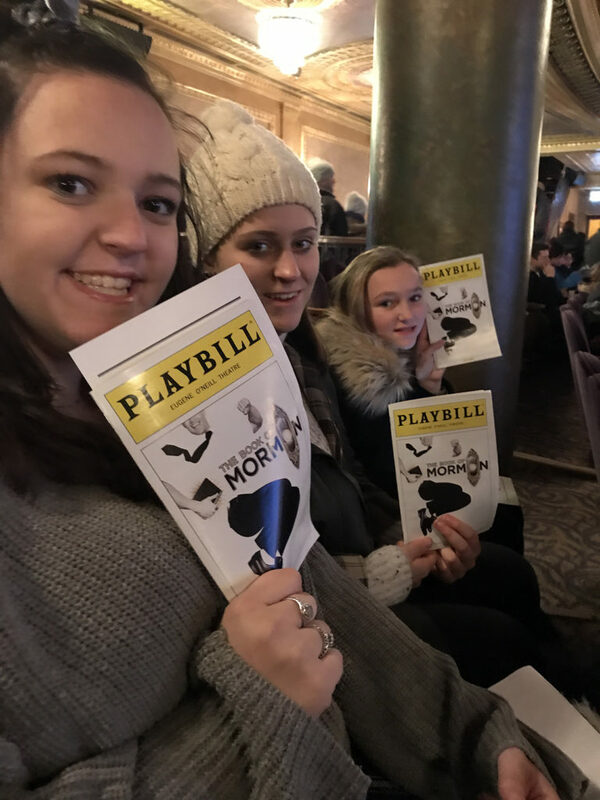 When Phillip and I started planning this trip, we knew we wanted to take the girls to a Broadway show…we just didn’t know which one. 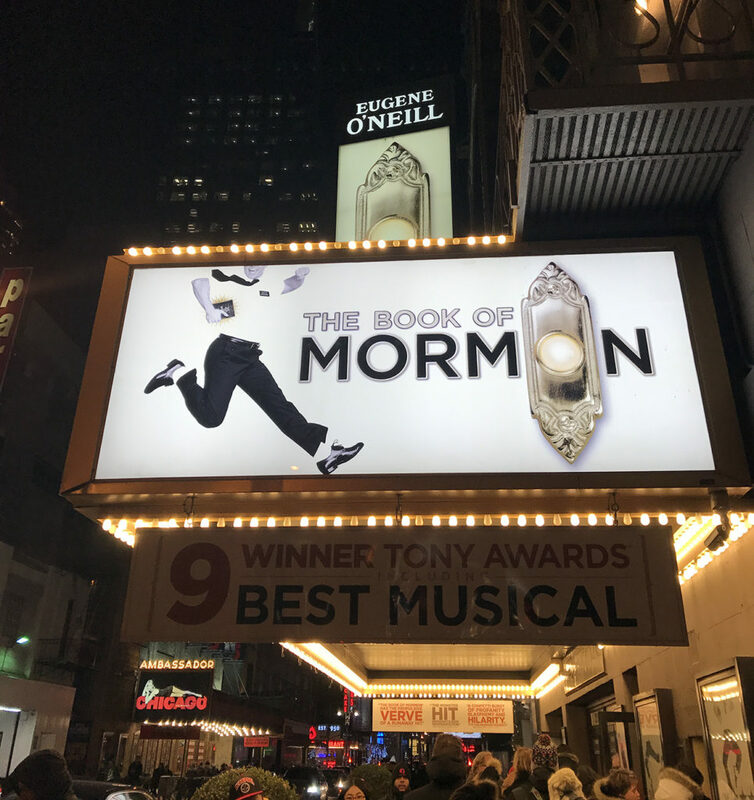 At some point in September, Grace mentioned that she would like to see The Book of Mormon if she ever had the opportunity. I started to think maybe she was listening in on our conversations after she went to bed at night…how DID she know that we were trying to figure out what show to attend?!? So needless to say, we went to see The Book of Mormon. We LOVED it! 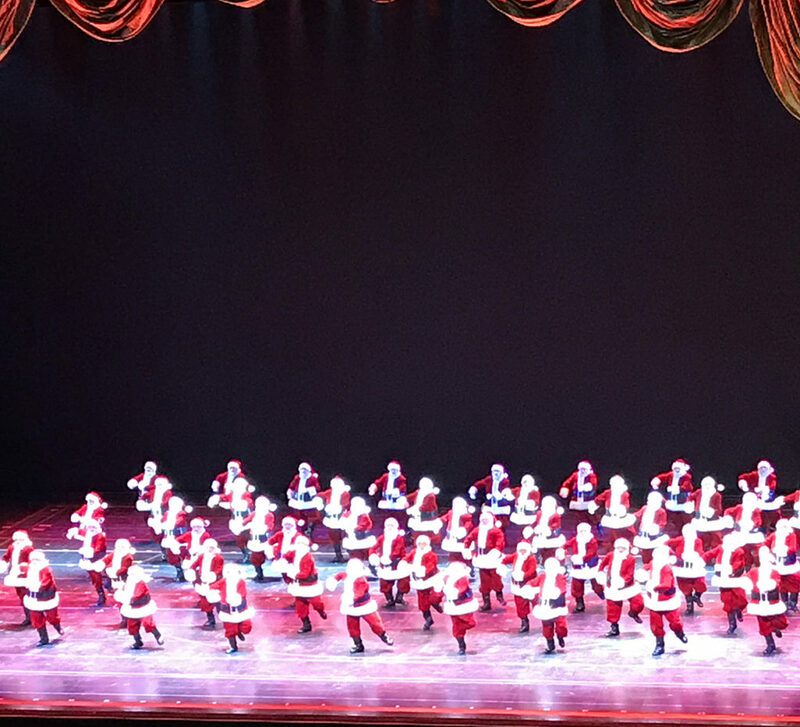 Probably not the most appropriate show for Claire to see, but I’m hoping most of it went “over her head.” Having two much older sisters, she has learned to go with the flow…somewhat! The Eugene O’Neill Theater, where the show is performed, is quite small and intimate…not what I expected, but a beautiful venue for sure. Can you tell that they were tired of mom taking pictures at this point in the trip??? 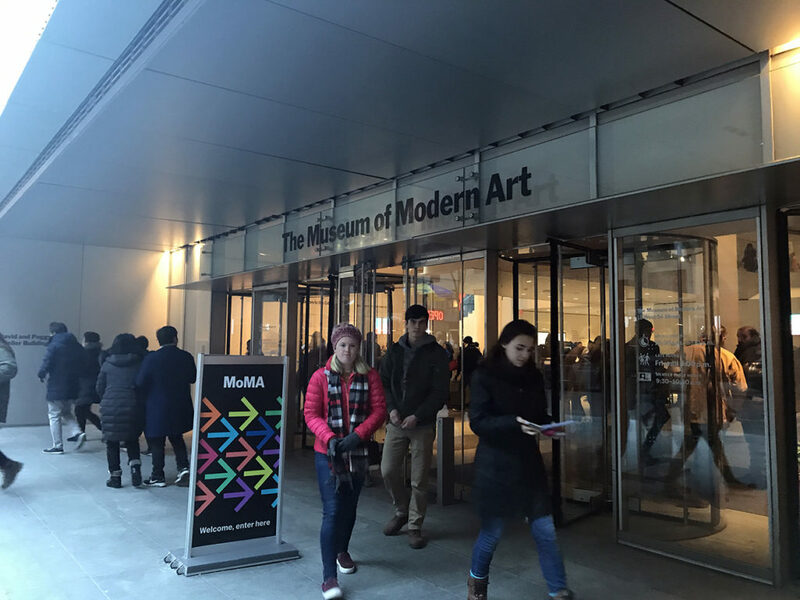 This was my first time at the Museum of Modern Art (MoMA). 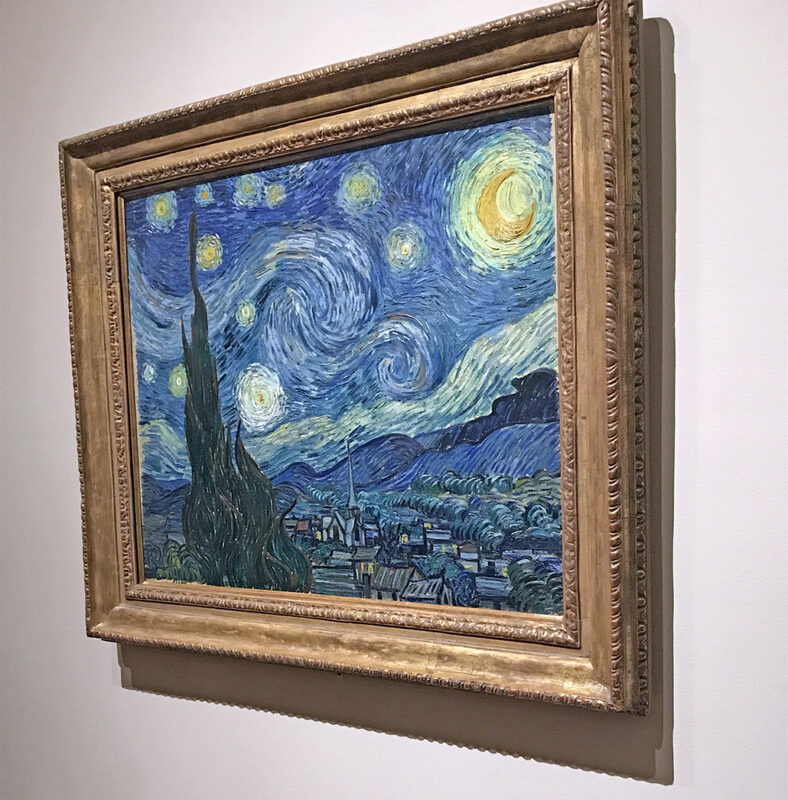 Such great art and exhibits! 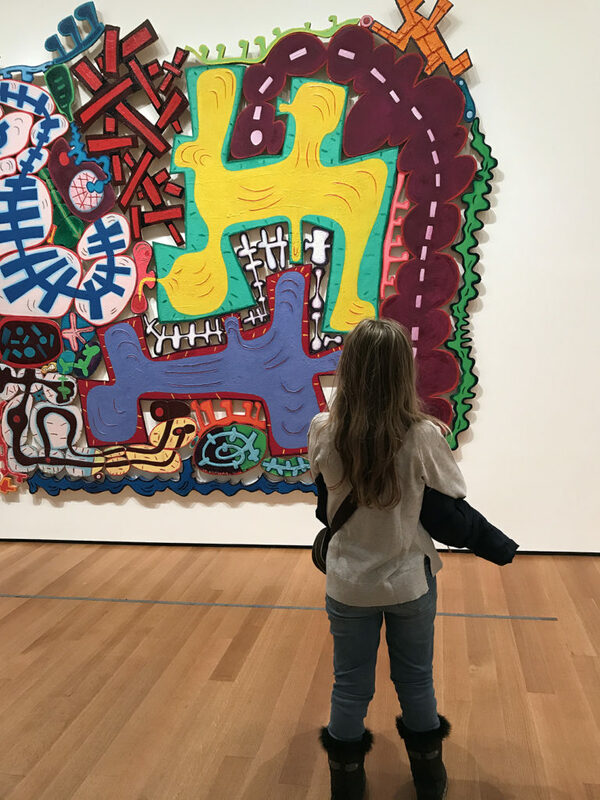 I loved walking around with Claire, as she talked about some of the art that she had learned about in school…kudos to her art teacher for instilling this in her. 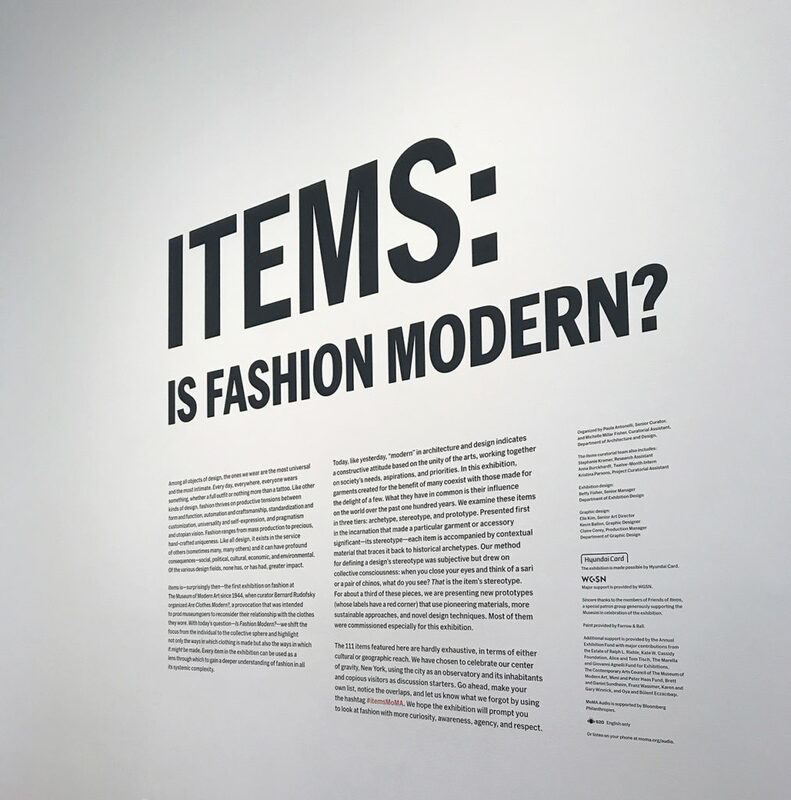 From van Gogh’s “The Starry Night” to the exhibit “Is Fashion Modern”…there was something for everyone to see. The MoMA was actually the final place we visited on our trip. Not the original plan, but we learned upon returning to our apartment that the snow prediction had increased to 6-12 inches with blizzard-like conditions expected in Long Island overnight. Since we were suppose to leave the following evening, we were worried that our flight would be cancelled. Delta Airlines was able to get us on a flight within a few hours…not directly home, but with an overnight stay in Lexington and then on another flight back home in the morning. We decided to go for it…so we missed out on our plans for the last day of our trip, which included being in the audience at The Chew. I’m a big fan of the show, so you can imagine my disappointment. However, I was grateful to return home safely and not get stuck in a snowstorm.